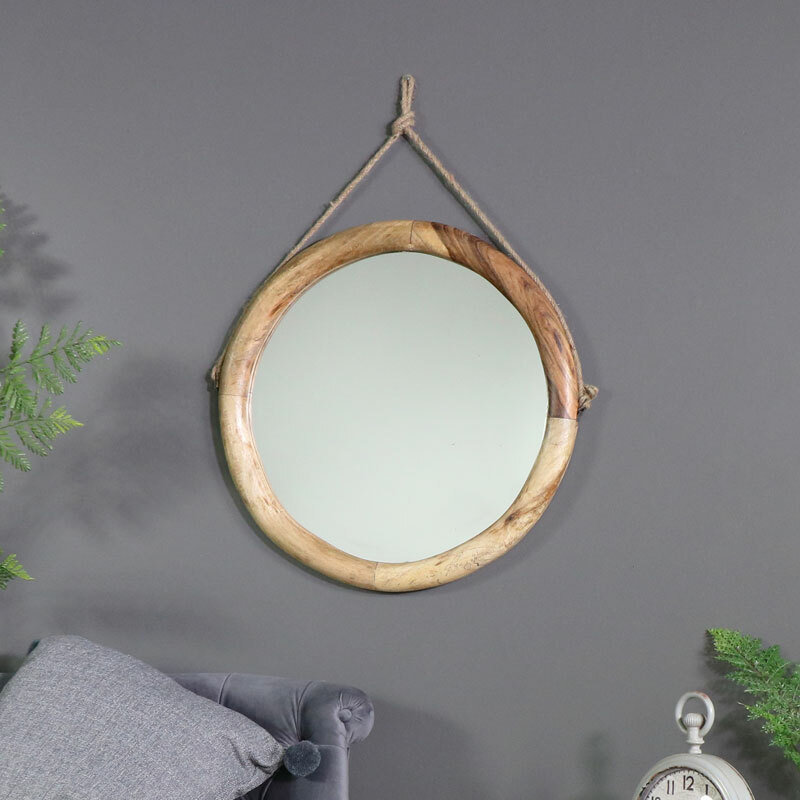 This mirror is a great addition to our extensive range of wall mirrors. Wonderfully rustic with a natural wooden frame, perfect for a country cottage style interior. Charmingly rustic with a natural finish that allows you to see the grain of the wood. 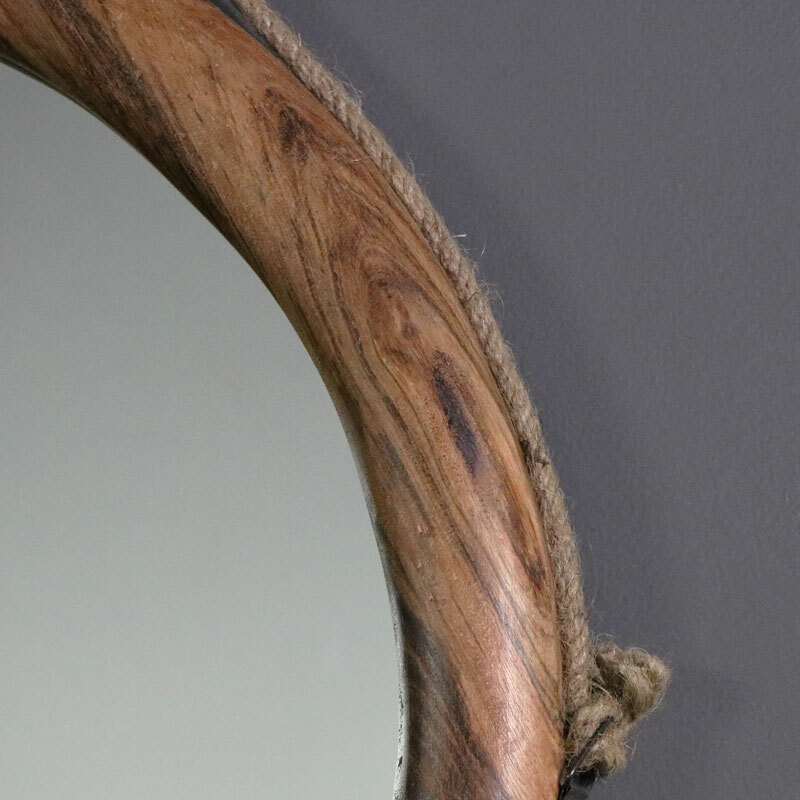 The mirror hangs from a rope hanger that adds to the overall look. This would easily suit a bathroom, living room or hallway. Sturdy and solid design that is sure to add character to a home. This mirror is a great addition to our extensive range of wall mirrors. 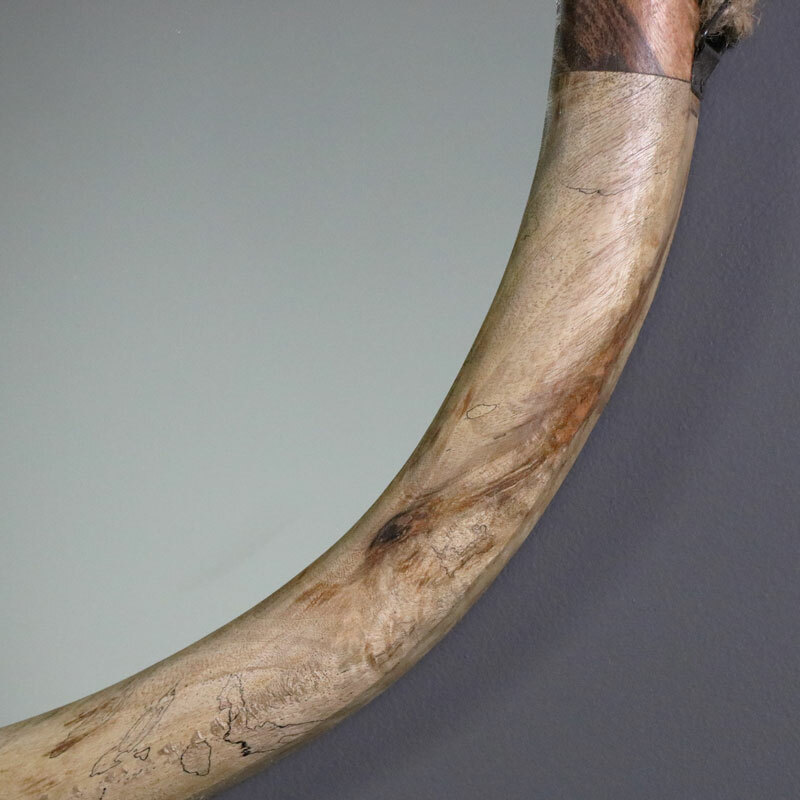 Wonderfully rustic with a natural wooden frame, perfect for a country cottage style interior. Charmingly rustic with a natural finish that allows you to see the grain of the wood. 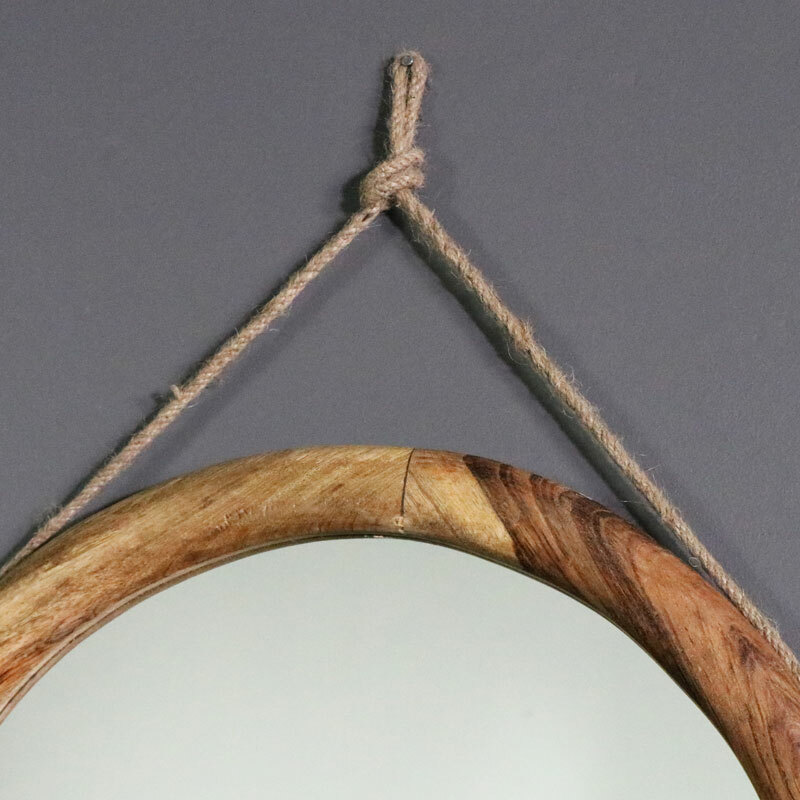 The mirror hangs from a rope hanger that adds to the overall look. This would easily suit a bathroom, living room or hallway.